In 2009, a research project identified correlations between major changes in family structure and high school completion rates. Researchers encapsulated their findings in “Family Structure Histories and High School Completion: Evidence from a Population-based Registry,” published in the Canadian Journal of Sociology. The study tracked nearly 10,000 children from 1984 who were born to, or adopted by, two-parent families, and reviewed the family structure histories for each child until adulthood. Researchers found that major disruptions in family structure negatively impact the likelihood of graduation for children. “[C]hildren who experienced marital dissolution before the age of 18 were significantly less likely to complete high school than children in intact households,” stated the researchers. Below are a few of the study’s highlights. 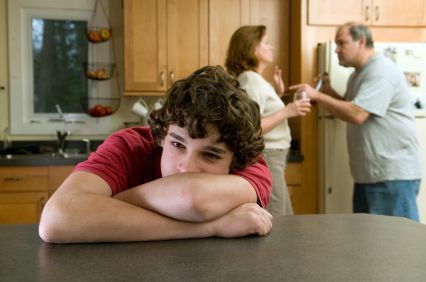 Marital disruption occurred in roughly 20 percent of the families, and four percent of children experienced more than one major change, e.g., two divorces. While more than 78 percent of those in two-parent households graduated from high school by age 20, only 60 percent of those who went through a big family change graduated in the same amount of time. The younger a child is when a divorce occurs, the more likely it can impact the child. The study cautioned against making the generalization that divorce has negative outcomes for children in all situations. There are circumstances in which divorce can be beneficial for kids and have positive ramifications. When separating means moving a child away from an abusive parent, divorce is preferable to staying together. Children of divorce can still grow up healthy, happy, and adjusted; they can graduate high school, and go on to have wonderful lives. Mindful post-divorce parenting can help make this a reality. Helpguide.org echoes this philosophy and explains that kids whose divorced parents have a cooperative relationship experience these benefits.